You’ve all heard the old adage “preaching to the choir,” and I doubt it needs an explanation. But I don’t buy the premise of this familiar saying. No one has it all figured out; no one couldn’t use a little sharpening and refinement; no one is beyond growth and discipleship. Even the choir…and especially the preacher! One beautifully tragic aspect of working on and delivering sermons each week is that those sermons work on and get delivered to me a dozen times before they ever make it into the pulpit or podcast. I generally have 2 or 3 sermons mulling around in my head at a time, but that means those ideas keep showing up in my own life in conveniently convicting ways throughout the sermon preparation process. And I’m glad that this is the case. I’m glad these sermons get lived before spoken. I’m glad I’m preaching to myself before I ever preach to the congregation. It holds me accountable to actually practicing what I preach. 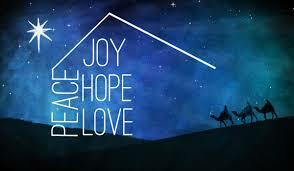 Take, for example, my upcoming Advent sermon series, where I’ll be exploring the four traditional Advent themes: hope, peace, joy, and love. I know all these sermons are coming down the pike, and I’m working on them all simultaneously, so these themes keep coming to my mind and working on my heart. As doubt and despair creeps into my heart about my effectiveness in ministry, I’m comforted by the hopefulness that arises in the incarnation of Jesus. If Jesus really is the Hope of the World, then why would I bother with hopelessness? As I find myself impatient with my kids or angry with other drivers, my mind floods with the challenge to be peaceful in an impatient, stressful, anxious, and angry world. If Jesus is really the Prince of Peace, then my prayer is for him to fill me with a peace that truly passes understanding. I need this Advent season. I need these themes to preach to me as I prepare to preach them. Advent is such a powerfully practical season of the year, and my prayer for myself and you all is that this month of mindfulness would transform us as individuals, families, and as a church. I pray that these themes—hope, peace, joy, and love—wouldn’t just be nice Christmas-y ideas, but would sink deep into our bones and become central to who we are.